Reflections and Ruminations: When we are loved correctly from the start, we are in a good place to die. When we are loved correctly from the start, we are in a good place to die. A lot of our neurosis and baggage in relationship problems that we find in life as we get older have a common starting point. In my encounters with spiritual directees and counselees, I have noticed that if one had been properly loved and tenderly cared for during one’s formative years, there is a certain solid foundation from which one can blossom into without constantly trying later on to either reclaim what should have been given, or getting substitutes or replacements for what was missing. I have not read the series of Harry Potter books, and must confess that I have not ventured into trying to appreciate the world of the Hogwarts. But I was very delighted to discover something that author J. K. Rowling had woven into Harry’s life. Apparently, Lily Potter, the mother of Harry, did something to Harry in his early childhood that prevented the evil Lord Voldemort from touching him. It was when this villain tried to lay his hands on Harry, that he experienced agonizing pain, thwarting his plans of harming Harry. It was later that when Harry asked Dumbledore for an explanation that something deep was revealed. Apparently, Harry’s mother died trying to save him, showing that love that was as powerful as a mother’s love has an unexplained power that protected and surrounded him from evil. 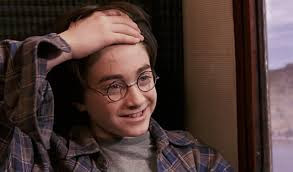 In Harry, this was physically evidenced by the scar on his forehead. But it was not just the physical scar that had power, but the love behind the scar which caused it. Rowling, in my opinion, demonstrated an intuition of what in essence is true power, which is the power of sacrificial and selfless love. For us Christians who declare that Jesus is our Lord and Saviour, this intuition is not a mere story or fable, and not something that is taught implicitly by any means. It is forms the very backbone of our belief and the hope of our ever entering into eternal life. But many of us don’t get to this truth in our Christian living on a serious level, and I believe that it is our task as priests and spiritual leaders to reveal this over and over to the flock that is given to us by God to tend and to feed. I am truly confident of this – that when we understand and appreciate this truth of our salvation in Christ, and the lengths to which our loving God went to demonstrate and make this real, our sense of reality will shift on a seismic as well as a cosmic level. All sin, and there is no exception to this, are lies and deceptions. The basic underlining deception is that if we give in to the temptation before us, that we will find a happiness and a joy that we are missing. The ways this scenario plays out are countless and so layered that it boggles the mind. From a person disrespecting his superiors to a gambling addict feeding the monster of greed; from an adulterer keeping a lover on the side to a child telling his parents that he has no homework to do just so that he can play his computer games, they all stem from the belief that one has to pursue happiness without much regard given to respect, truth and honesty. The apparent need to satisfy the self trumps any need or purpose outside of oneself. But there is a further uncovering of something that is hidden beneath this drive, and it is love. This pursuit of happiness is also a very unspoken search for one’s love of self and one’s self-worth, one’s dignity and one’s being validated on a very deep level. When one knows that one is already deeply loved and affirmed one’s whole life becomes built on a solid foundation which Jesus refers to as being built on rock, and not on sand. Our foundation shifts, and this is the seismic level of change that I referred to. Rowling intuited this in having Dumbledore reveal this to Harry. Sacrifice is almost always at the heart of real and moving love. Those of us who have been blessed with having experiences of a parent, a leader, a teacher, a mentor or a friend who has sacrificed much for us will know that this is true. The sacrifice was revelatory of a life-changing love so that we could move on, live and yes, even flourish in life. If this is true on a level of our physical lives, it is even truer on the level of our very being. Christianity’s great revelation is not only that we are (and have always been) loved by the God who created us, but that in Jesus Christ, this same God has taken on flesh to demonstrate this in the most outlandish and unconventional way by dying for all of humanity, hence the cosmic level of salvation. Harry’s mother died saving him as a child, and this love left its own indelible mark on him. It was a mark far deeper than the superficial scar on his forehead, but one that went deep inside of him that evil knew it could never overcome. Jesus’ death saved and continues to save us, and his love marks us out as deeply loved and in that way, protected as well. We have the scar of Jesus’ cross in our hearts, and that too, is indelible. The more we reflect on this, and appreciate its richness at its fathoms, the less sin and evil has any lasting power over us. The greater this truth grasps our hearts, the less we will fall into the lure of sin, where the underlying temptation is to say that we are not really loved, and that we have to pursue a happiness in order to show us that we are loved or loveable – even if this ‘happiness’ or ‘lovability’ is only for a fleeting moment or a mere thrill that is evanescent. Author and theologian Tim Keller is right on the money when he says that the only way that Jesus could redeem us was to give his life as a ransom, and that much as he is God, he could not just say “let there be forgiveness”. In creation, God could and did create and say, “let there be light, let there be vegetation, let there be sun, moon and stars”. But this could not be the case for forgiveness, because forgiveness is at its deepest level an act of love, and love can never be created. It is demonstrated. That is why I fully and firmly believe that if we truly understand and appreciate at a deep level that we are loved, we will be in good stead for death – death to sin and self, and finally, be in truly good stead for a good death at the end of our lives. Thanks again Fr Luke for that insight on sin. There's a saying that Mr. SA TAN makes a very good marketing director or marketer. The truth is that is that the initial product of the good (i'm referring to sin) is so cleverly wrapped in shining glossy wrapping papers that is so tempting or simply irrestible. Best of all. it's tengible.. you can see the so called "benefits right in front of you"
And when have take the bait.. you immediately feel you have been ripped off and that guilt sets in. of course this would be felt on souls who would have been very close to God like the saints. The truth is .. it is far from it. the problem lies in the dumbness to sin as the secular society declare it as no sin whatsover. Apparently in this modern age, we lose our "sin" conscious so to speak. We are constantly bombarded by the mentality of present society to accept sin as status quo or as it is.. so no sin.. sad but is true! Hi Fr Luke, I’d like to think that this is one of the best pieces I’ve read in trying to convey the love of the Father and how we can overcome sin just on that basis - we were also reflecting on this in last week's readings from 1 John 4. What comes to mind is the saying: “The longest distance is from the head to the heart”. This is probably the greatest challenge for us to overcome so as to undergo that seismic shift you write about. Somehow I was quite touched by the responsorial psalm at today’s mass – “Redeem us, O Lord, because of your love.” - noting - with a renewed sense of awareness mingled with awe by the word ‘your’ love and not ‘our’ love . For truly, we know that He loves us (1 John - “we love because he first loved us.”) and yet, we have not done and cannot do anything to deserve this love. I was reminded of what you said about Harry’s mother (as above), and saw the connection in the true-life stories of how ordinary mothers weather the odds – juggling the raising of children, working at jobs and managing at home all because of their unique capacity to love selflessly .........loving their children during the best and worst of times – and I realize that I’m seeing a microcosm of what God has done and is still doing in our lives -at the cosmic level – for all humanity. And I remember the words of Rolheiser - ‘Something is only love, and it can only give life, when it is freely given.’ That, in short - exactly summarizes what God did when he sent his Son to us.